In 2001, Nintendo launched a brand new home console, the GameCube, and with it, debuted a brand new game featuring a beloved, mustachioed hero. Nope, not Mario. For this launch title, Nintendo decided to give the spotlight to his taller, quirkier brother, Luigi, in a brand new adventure called Luigi’s Mansion. Despite some minor grievances, Luigi’s Mansion was well-received and became another Nintendo hit loved by their legions of fans, myself included. Now, flash forward 17 years later, and Nintendo has seen fit to re-release Luigi’s Mansion, this time for the Nintendo 3DS. Luigi’s Mansion begins with our hero, Luigi, slinking his way through a dark and creepy forest. In his hand, a map to a brand new mansion that he apparently just “won”. Upon arrival, he discovers the mansion is haunted by all manner of spooky spirits. Even worse, it turns out Mario had arrived shortly before and is now missing! Luckily for Luigi, a ghost-hunter named Professor E. Gadd had been investigating the creepy mansion and is fully willing to help Luigi with his quest to save his brother. Equipped with a trusty flashlight, the ghost-sucking Poltergust 3000, the handy Game Boy Horror, and the help of the Professor, Luigi makes his way through the haunted mansion to save his sibling. 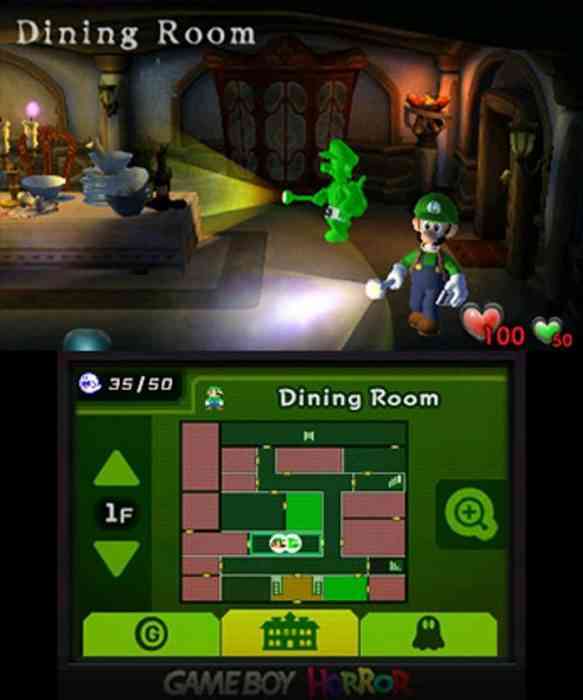 In Luigi’s Mansion, you’ll navigate Luigi throughout the various rooms in the massive mansion. The fixed-camera provides the player with a view of Luigi, the current room, and of course, any adversaries. 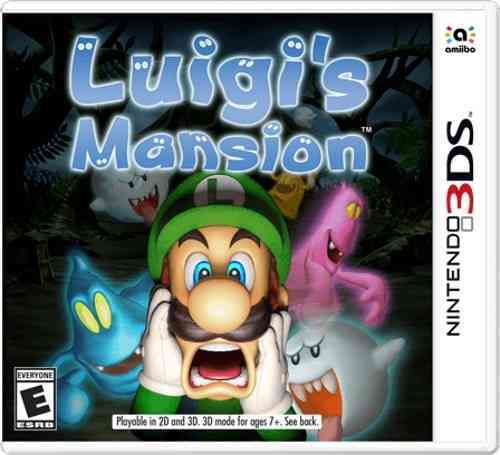 Luigi will come across a variety of different ghosts, including deceased residents of the mansion. To defeat the ghosts, you’ll need to vacuum them up by using the Poltergust 3000. Most ghosts need to be stunned first – exposing their “heart”. Sometimes this is done by simply shining your flashlight on them, other times you’ll need to figure out what will stun them. Once their heart is exposed, you’ll use the Poltergust 3000 to vacuum them up. They’ll try and escape the Poltergust 3000’s grasp, so you’ll need to always pull the controls in the opposite direction using either the C-Stick nub or motion controls as their health depletes. For the most part, the controls were fine but not as comfortable as they were on the GameCube with its controller. You won’t have free reign of the entire mansion at the beginning – you’ll start with a couple unlocked doors, and as you progress, you’ll gain keys that unlock specific doors. Along the way, you’ll come across boatloads of treasure – the amount of treasure you collect will impact your rating when you complete the game. You’ll also unwittingly release 50 Boo’s into the mansion that you’ll need to collect – but that’s completely optional. In fact, speed runners could probably wrap the game up in a couple hours if they know specifically what rooms/ghosts they need to complete. For those that are looking at a more completionist approach, you’ll probably need a good six to eight hours. 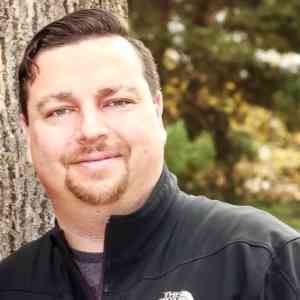 New to this version is achievements, which will give you some challenging goals to accomplish. 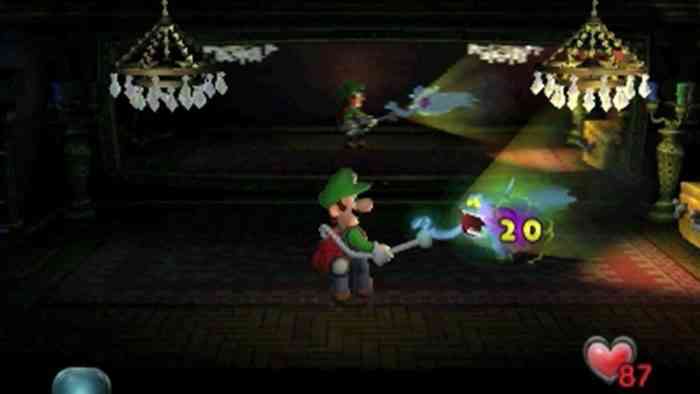 Upon completing Luigi’s Mansion, you’ll get access to a more difficult mode; same mansion, just more difficult ghosts. Oh, and the game offer’s amiibo support too – Luigi, Mario, Toad, and Boo amiibo each unlock a different assist to help make the game a little less challenging. Another new addition to this version of Luigi’s Mansion is the inclusion of co-operative play. If two people have a copy of Luigi’s Mansion, you can play local co-op where one person assumes the role of Luigi, and one person takes on the role of Gooigi – a gooey, green Luigi-look-a-like. Unfortunately, I only had one copy, so I wasn’t able to test out the main co-op mode. There is a download play option – but to be honest, I’m not even sure why they even bothered. The download play option allows two people to re-do the training mode, which is just a basic tutorial, and view the Gallery. My son and I completed the “download play” material within five minutes – it actually took us longer to get connected! 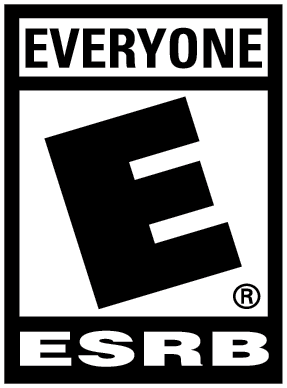 What’s worse, during our time in local co-op, the game had noticeable lag. While I can’t say if the same lag will occur in the main game if both players have a copy – the fact that it lagged in one tiny area with a couple ghosts on screen is pretty disheartening. Now, I’m sure if you’ve played the original GameCube version, you’re wondering how much of an improvement – at least visually – the new re-release is. After finishing Luigi’s Mansion on the 3DS, I booted up the original Luigi’s Mansion on the Wii (to take advantage of the Progressive Scan feature) and I can say for certain that the visuals have been improved – but only slightly. The textures in the new version are more crisp and clear than the original. The biggest difference between the two are some of the character models – Toad and Luigi look a lot better in the 3DS version. Another big visual change is the Game Boy Horror. The Game Boy Horror acts as your in-game map and communication tool with Professor E. Gadd. In the original, the map was a sort of 3D mock up of the mansion whereas the 3DS version is a dull flat map. While I prefer the look of the original, I like how they added little 8-bit Luigi and Boo figures on the new map. However, the 3DS version always has the map on the bottom screen; the GameCube version would pause the game to view the map screen. Luigi’s Mansion is a fantastic game. With that said, it’s not without its flaws. It’s not very difficult – during my entire playthrough, I only died once, and that was on the last boss. The controls can feel a bit awkward, particularly the silly little C-Stick nub on the New 3DS/2DS models. Younger gamers might have a tough time figuring out what to do next, particularly with boss fights – so keep that in mind if you’re thinking of this game as a gift. On the bright side, the gameplay itself is a lot of fun. There is some replayability here, with the achievements and more difficult second playthrough. I can’t speak too much on the co-op – it’s great that it’s there, but the price of having two copies is a bit ridiculous, especially for families – Nintendo really needs to come up with a family sharing plan for their digital games on their handheld systems. Luigi is brilliant as the lead protagonist – he’s silly and loveable. There are few things in gaming more adorable than Luigi whistling along to the background music. Luigi’s Mansion is a must play if you’ve never enjoyed it before. If you still own the GameCube version, there really isn’t enough here to warrant a new purchase unless you need the slightly updated visuals and ability to take it on the road. I personally believe this game, like it’s 2013 sequel, Dark Moon, is better suited for a home console experience – and fortunately, we’ll all be enjoying Luigi’s Mansion 3 on the Nintendo Switch when it launches in 2019.